Coming to terms with alcohol addiction is hard to face. At Linwood House, we care. 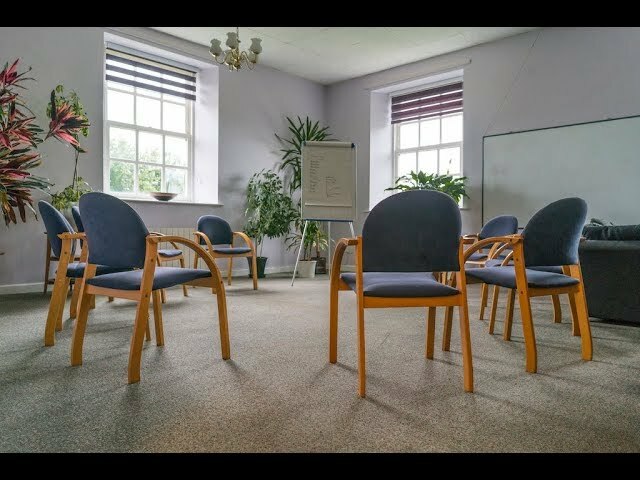 Our private alcohol rehab clinic near York is open 24 hours a day and we are here to support you. For more information, call our admissions team on 01226 422 342. We treat all calls in the strictest confidence. Linwood House is based in Barnsley, we are within 50 miles of York. Our private facility is an ideal choice for people from surrounding cities. This is a premium service that allows you fast access to alcohol addiction treatment at our residential rehab clinic. You will receive around the clock care and specialist treatment from our fully qualified and experienced staff. Residential alcohol rehab on the NHS does not exist. This level of funding from the NHS is extremely rare. If you are lucky enough to receive funding, you will have to complete a long and exhaustive process to see if you qualify for the treatment. To secure this level of funding could take several months and is only available in very severe cases. By the time it takes even to consider funding you could be in a much better place months later by going private. However, private treatment comes at a premium and is self-funded. How to get someone to go into alcohol rehab? For alcohol addiction treatment to be successful, the individual must have a desire to change and nobody can make that decision for them. Ultimately, it is up to person suffering from alcohol abuse to make that choice. How to get into alcohol rehab? In the first instance, call our admissions team on 01226 422 342 in confidence. You will speak to our nurse and go through an initial telephone assessment. All communications are treated in the strictest confidence. This is your opportunity to answer any questions or concerns that you may have. Before being admitted into Linwood House, we require full payment of treatment. Pricing will vary depending on the length of your stay. The first stage of any alcohol rehab process is to withdraw the alcohol from the body. This is known as alcohol detox. Our medical professionals will assess you. They will review your medical history and your alcohol consumption levels. The Health Professional will decide on the correct level of chlordiazepoxide (Librium) to prescribe during the alcohol withdrawal process. Once the Health Professional has completed the assessment, we will monitor and record all symptoms of alcohol withdrawal. This process will start as straight after admission. We record your withdrawal signs every 4 to 6 hours. The alcohol detox process lasts for 7 days. Following the alcohol detox process, you will then proceed to the alcohol rehab process. What to expect in alcohol rehab? The alcohol rehab process is where you begin intense therapy sessions to find the underlying causes of your alcohol addiction. By knowing what to expect before attending rehab, this can help to reduce any worries or concerns that you may have. The globally renowned 12 Step Recovery Programme by Alcoholics Anonymous. This 12 step model was designed for others to help one another with their problems. This is done through meetings in which other recovering addicts can share their experiences and support each other by maintaining abstinence. The 12 step model gives people a framework to help them surrender their addiction, learn from their mistakes and create new positive patterns. This is a personalised talking therapy that looks at changing negative thoughts, beliefs, attitudes and behaviours that stop alcohol recovery. This technique is particularly useful when dealing with the symptoms of denial. During CBT you will learn how to create new and powerful associations to help overcome any old thought patterns. The time in alcohol rehab can vary from person to person. The minimum time someone spends in rehab is 21 days. However, depending on the history and severity of alcohol abuse some cases may time longer. After attending Linwood House, you should have all the tools and skills necessary to return into society and begin to lead a more productive life. We know that alcohol recovery is an ongoing journey. If you have spent more than 3 weeks or more at Linwood House, we will offer you 12 months free aftercare, where you and your immediate family will have access to free monthly workshops. Why Choose Linwood House for alcohol recovery? You can forget about the outside world and focus on recovery. You'll be in the company of others aiming to be alcohol-free. Get admitted fast and in most cases within 24 hours.